Hello, and an abundant April to you! Welcome, or welcome back, to my newsletter. The photo of me above was taken before an energy medicine class started, as I discuss something with a fellow student. I like that I'm "reaching out" to another, when I've so often stayed to myself in the past. Today's issue has 2 articles, the first on being connected to your environment to see better. The second article is about dreams of houses. Enjoy! "Watch what you're doing!" a parent will say to a child who isn't paying attention, or "Look at me when I'm talking to you!". Yet the parent may be distracted too, grabbing a hot pan from the stove without reaching for a pot holder first, or carrying on a conversation with a work buddy while obsessively checking his email for an expected message. Let's face it -- in this busy world, we're all trying to do too much. When you're doing more than one thing at a time and make a mistake or miss something, it's often something visual you missed. You overlooked it! 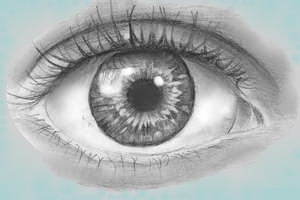 Your visual system takes its orders from your brain, and from where you direct your attention. You're giving it mixed messages if your focus is in 2 different places. To see well, you want to be fully connected to what you're looking at, so you can receive the visual input in as much detail as possible. Then you'll interpret it to choose your next action. Mindfulness practices like yoga and meditation can help to slow down your frantic rushing nervous system, as can just going for a walk in Nature (with your cell phone off!). You need to be relaxed to see well, and to be healthy in general. See if you can do one simple daily activity today with full focus, maybe washing the dishes, or puttig on your clothes. Be in it while you're doing this, appreciating having a human body, noticing the colors and textures and shapes near you. What's the rush? To read about an experience of mine which shows the connection between being present and seeing well, click here. Dreams send us stories and images, and it's up to us to decipher the message, which may not be obvious. Since for most of us our house is the structure we live in here, it can be informative to examine the house that shows up in your dream. Is it in good repair, and does it feel like a happy welcoming place? Is it relatively clean and neat, or cluttered? What might this be mirroring back to you about the dwelling container you've built around yourself, or the state of your life? Several people have told me they've dreamed of a new room in their house, one they hadn't known was there before. If you have a dream like this, to me it's exciting! Maybe this is a sign of an unexplored talent, or a new possibility you hadn't previously considered. When you have some free time, play with ideas about what this could mean for you, maybe journal a bit on it, to see whether you can tease out more meaning from the dream. What have you always wanted to do? Maybe now is the time! 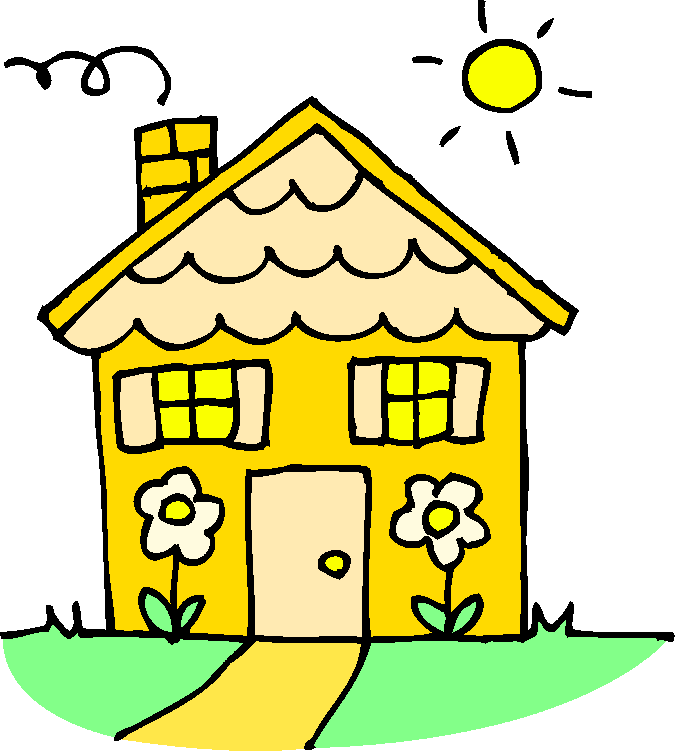 A house is a living unit, with ventilation, heating, plumbing, and waste disposal. You are too! It's possible a dream of a house is hinting at a body condition requiring attention. A water leak in a dream could indicate a leak of your own physical energy. Investigate the scenes in the dream, and especially the feelings they invoke, to help understand what it's trying to say to you. It's also possible the dream is literal. If I dreamed of a problem with the furnace in my house, I'd have the furnace checked first, not leap to the conclusion that something was wrong with my heart or circulatory system! While it's fun to play with dream symbols, sometimes a dream message is quite straightforward. To see a recent dream of mine about being in the wrong house, which told me a lot about myself, click here. If you'd like to explore your dreams of houses (or of anything else) with me, consider a Dream Coaching session. Together we can make sense of even your most confusing dream, and extract its guidance. Let me know what you've wondered about concerning vision or dreams or EFT. I'll be glad to write a short article addressing that topic. Thank you to those who have sent me questions, or see a question you asked me in a private session written about here. You're helping many other people! Enjoy this first part of April. I'll write again in a week or two. Take care!